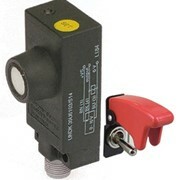 Safety interlock switches are available with and without guard locking. 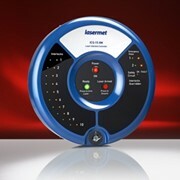 Please enquire for further product information and the availability of similar products. 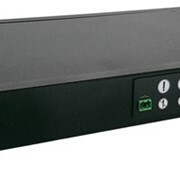 Safety interlocking devices, series S10, are used to monitor the position and electrical locking of protective devices (e.g. 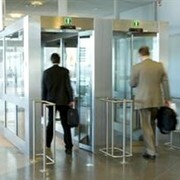 safety doors) in industrial machinery and systems. 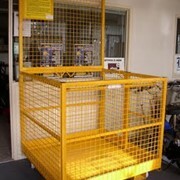 In this way, they protect people from dangerous machine movements. 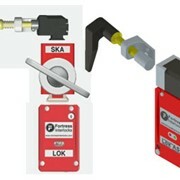 Safety interlocks without guard locking can be implemented whenever the dangerous movement has come to a standstill before the person entering can reach the danger point. 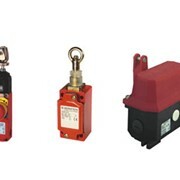 Safety hinge switches, Series S40, are used to protect people in the operating range of industrial machinery and systems. 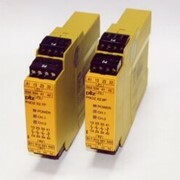 They are designed to monitor the position of pivoting protective devices (e.g. 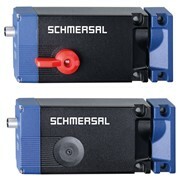 safety doors) by means of a monitoring switch integrated into the hinge. Due to their slim and narrow design, the L30 Series is particularly well-suited for use with revolving doors mounted on commercial aluminum profiles. 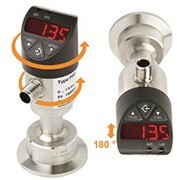 The interlocking devices L30 are available in a spring-operated version for personnel protection and in a magnet power-operated version for machine protection. 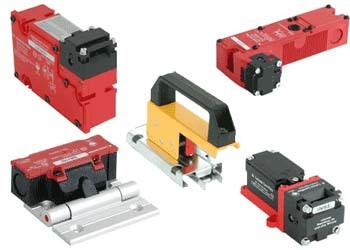 A mechanism for preventing unwanted closing and an auxiliary release mechanism are additional advantages of these safety components. 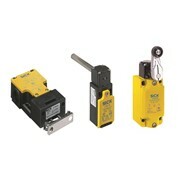 The Series L50 interlocking devices with an enclosure rating that surpasses IP 67 are oil- and gasoline-resistant and can withstand even hostile ambient conditions. 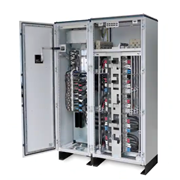 They are available in a spring-operated version for personnel protection and in a magnet power-operated version for machine protection. The Series BL and BS safety door bolts with integrated telescope actuators serve as a prefabricated mounting support and eliminate the need for the user to undertake mechanical adaptive measures. 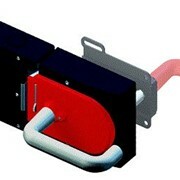 At the same time, the safety door bolts act as an end stop and protect the interlocking devices from sustaining damage.